When you camp you interfere with nature, so try to disturb the environment as little as possible by camping in the designated area only. Never camp near a waterhole. Animals go there to drink and your presence will deter them. The next waterhole may be very far for them. Also be on the lookout for animal trails to the waterholes and do not camp on or near their paths. Some camps may be very remote and un-manned, but still require bookings. There is nothing as bad as arriving at your booked campsite to find a squatter occupying it. 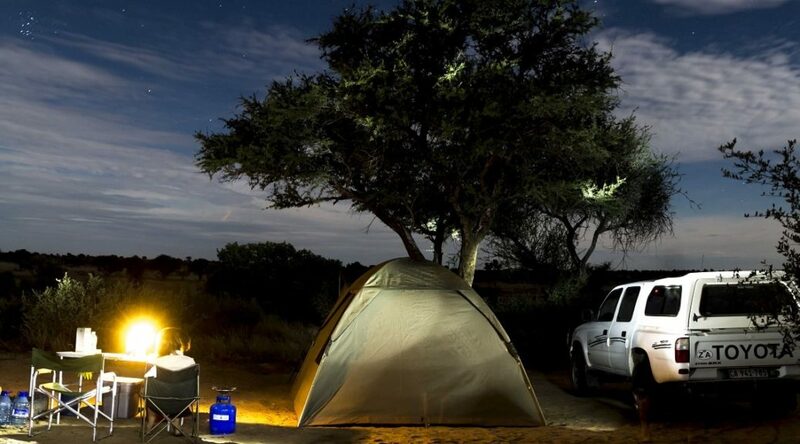 Many people prefer to bush camp and in countries like Namibia it is acceptable. However, some countries like Botswana are strict about bush camping. You need to respect this and ask permission from the Kgotla (chief) of the nearest village to bush camp. You will be expected to pay a fee which is only fair. If we as campers don’t pay for our accommodation tourism will just be a burden to the communities and infrastructure of the country instead of contributing to the social and economic development thereof. Most of these campsites will have a designated fire pit or place where previous campers made fire. Try to stick to one place otherwise the camp will be littered with leftover coals. Bring your own firewood or preferably charcoal. Never collect wood around the camp; it is simply not sustainable. Before you go to bed, make sure your fire is put out completely. A wind during the night could cause the fire to spread. These camps are in the wilderness and may be visited by officials only once a month. Under no circumstances should you leave your garbage even if bins are provided. 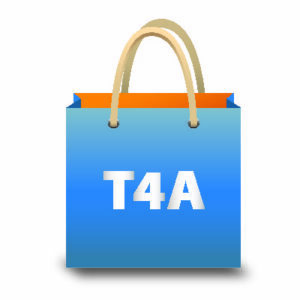 Take along strong plastic bags or containers in order to carry your garbage out with you. Leave absolutely nothing behind; do NOT bury your garbage! Also, do not throw the leftover food or bones into the veld, thinking that you are doing the local animal population a favour. They become dependent on these rations and will over time become a nuisance to campers. Rather burn leftovers in your campfire. These bush camps will most probably have a designated long drop and although these are not always the nicest of places to visit, it is in everyone’s interest that you do so. The breakdown of organic matter in these toilets is a natural process which should not be interfered with by adding chemicals like antiseptics, disinfectant or anything else, to reduce bad odours. Designated campsites probably experience quite a bit of traffic; hence if no toilet facility is provided, go into the bush and bury your business. Paper should ideally be burned instead of buried, but be careful not to start a veld fire. It is quite difficult to burn wet toilet paper, therefore it is best to put it in a bag that you can either burn in your campfire or store with the rest of your garbage. Dig a small ditch approximately 150 mm wide (small spade width), 200 mm deep and 5 to 20 m long (depending on the number of people and duration of stay) at an appropriate place. Agree with all campers that this is the ONLY place that will be used to relief yourselves. Start to use it from one side. After using it each member closes the part he/she has used. A toilet chair (toilet seat with legs) can also be used. Cover the whole ditch with sand before your party leaves and within a short time even the toilet paper will have decomposed. I couldn’t agree more! Although it would be nice if the CKGR did a bit more in terms of long drop maintenance.